Group and private classes may also be organized at your institution upon request. 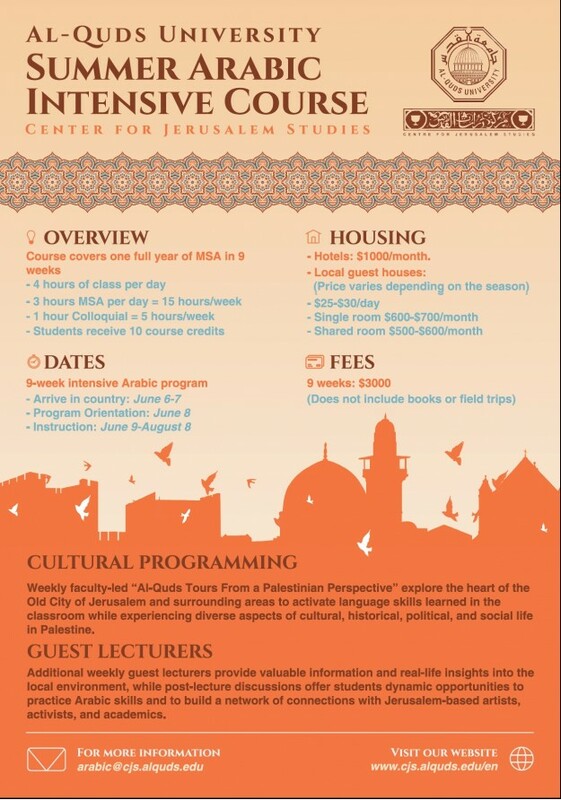 There will be Arabic courses offered in Ramallah. Times and levels to be announced per request.